I’m going to Mexico on Christmas day—a small town about an hour’s flight and then another hour’s drive from Mexico City called San Miguel, have any of you been?— and am aiming to fit everything into a carry-on. This is usually pretty easy when packing for a warm climate. But apparently it gets cold in the evenings there this time of year, which creates a challenge. So I’m only bringing with me items I know I’ll want to wear repeatedly. 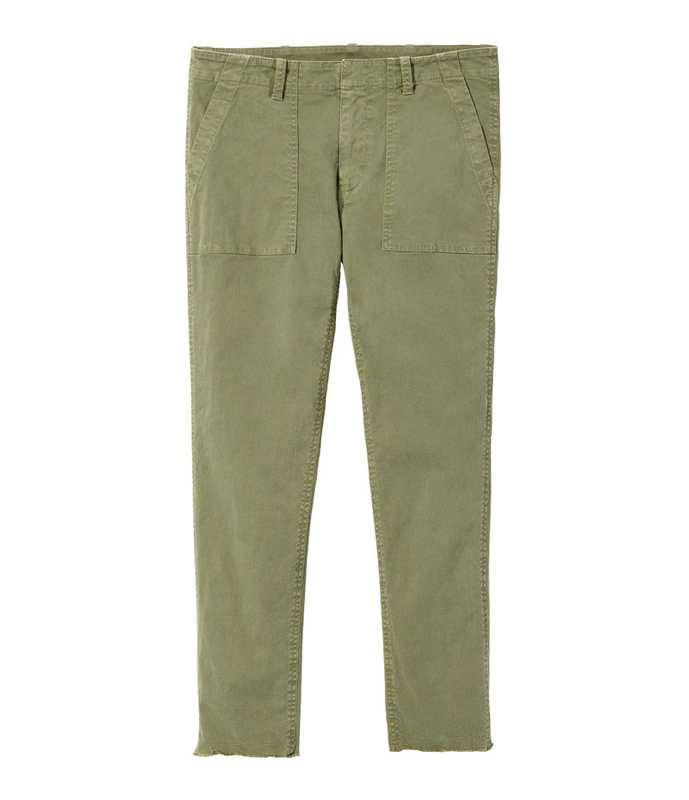 And I am dreaming of purchasing these Nili Lotan Jenna pants, in navy, with the most adorable ribbon trim. 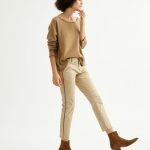 They’ll look cute cuffed when it’s warmer out, and are so damn comfortable and flattering. On the plane, I’ll wear these R-13 jeans, which I have owned forever. And whatever the thickest sweater I’m bringing is. Even though I know they’ll get wrinkled, I’ll bring a couple of button-downs (and maybe, if there’s room, this wee travel steamer will come along too). I own a couple of Maria Cornejo jersey dresses, and they are so good for travel because they pack down to nothing. 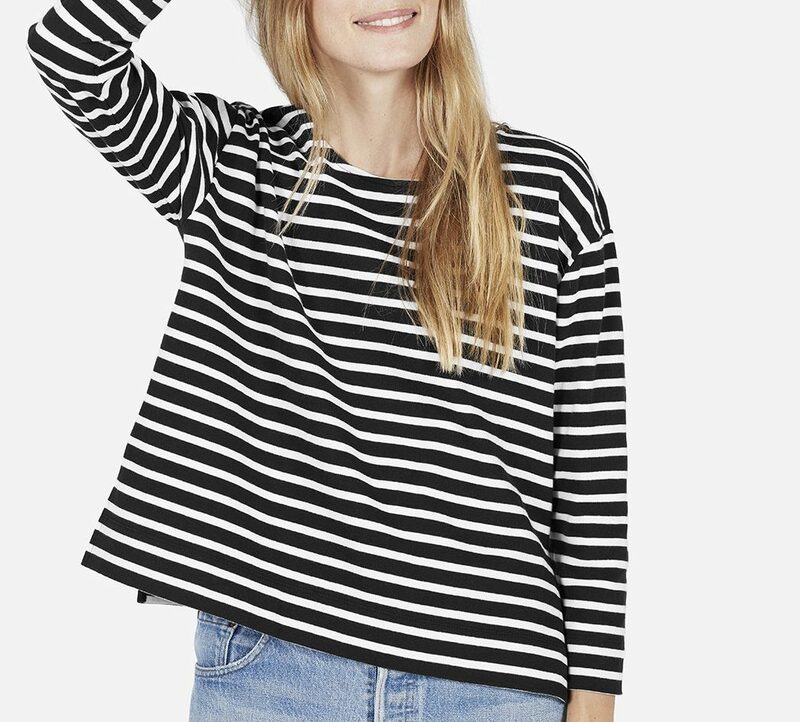 I can’t imagine not bringing a striped long-sleeved tee, most likely in simple, graphic black and white because it’s so versatile, and a little punk rock. To walk around everywhere, I will bring these clogs, even though they’re clunky to pack. For lounging about, I’ll put an ancient Emerson Fry caftan in the suitcase, but I dream of bringing this stunner. 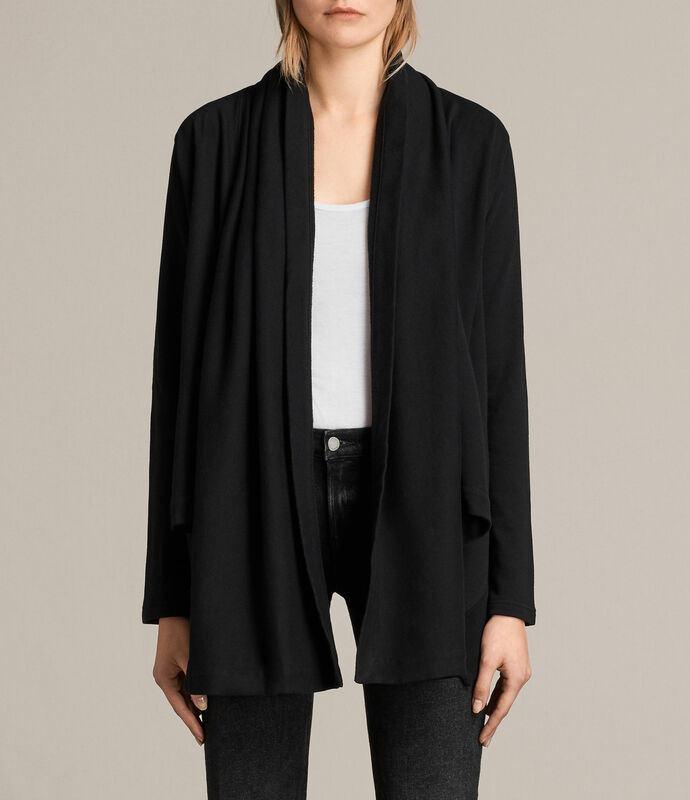 A lightweight cotton cardigan is a particularly good layering piece. And finally, I know I risk boring you by going on about about Chan Luu scarves again, but they really are the best for travel. Lightweight, but super-warm too. 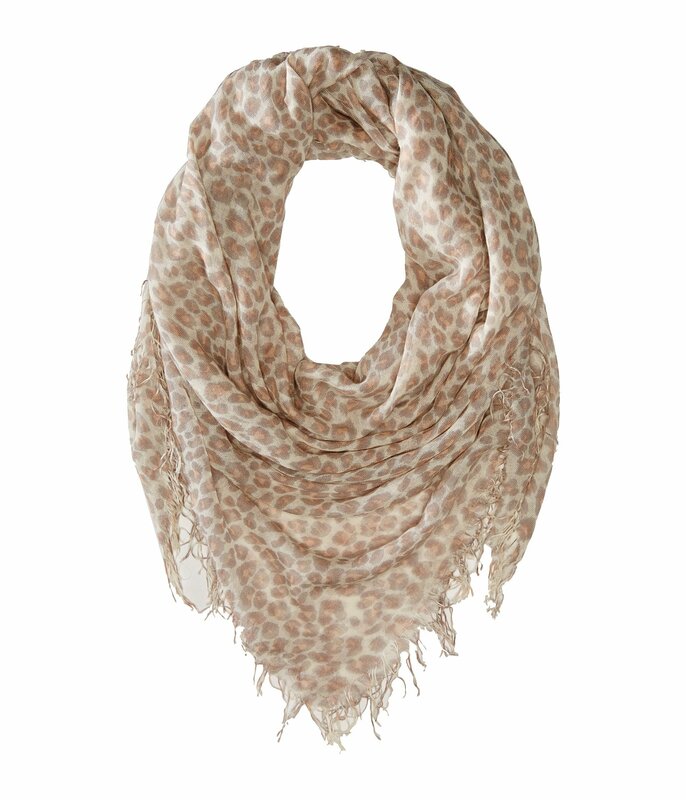 This is so fun in the leopard print, no? I’ve not been to San Miguel but hear it is wonderful – can’t wait to hear your thoughts. LOVING the pink sweater! Bring your yoga stuff, as I hear it’s quite a quirky artist community and sure to have great classes. Also, your next Mexico excursion should be Holbox island. It’s a lovely little island off the coast of Cancun. It’s what Mexico was 25-30 years ago, a small village, perfect sand, no buildings over 3 stories, no cruise ships and most definitely no Carlos n Charlie’s vibe. And NO seaweed at the beach. I literally packed a carry on and was over-packed as I wore caftans (most of which were sourced from your blog) and a swimsuit with flip flops. Great inspiration!!!! I've not been to San Miguel but hear it is wonderful - can't wait to hear your thoughts. 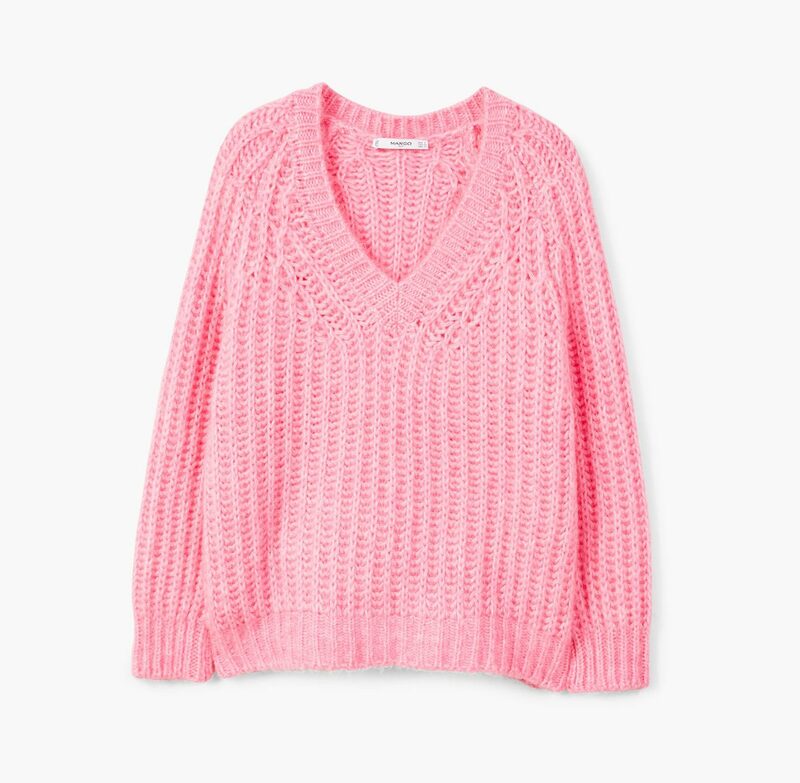 LOVING the pink sweater! Bring your yoga stuff, as I hear it's quite a quirky artist community and sure to have great classes. Also, your next Mexico excursion should be Holbox island. It's a lovely little island off the coast of Cancun. It's what Mexico was 25-30 years ago, a small village, perfect sand, no buildings over 3 stories, no cruise ships and most definitely no Carlos n Charlie's vibe. And NO seaweed at the beach. I literally packed a carry on and was over-packed as I wore caftans (most of which were sourced from your blog) and a swimsuit with flip flops. Great inspiration!!!! Yes, I’ve read about Holbox Island. Sounds amazing. Yes, I've read about Holbox Island. Sounds amazing. I love San Miguel! If you have time, you should save a day or two for Mexico City. It’s one of my all-time favorite cities to visit. I love San Miguel! If you have time, you should save a day or two for Mexico City. It's one of my all-time favorite cities to visit. Charming. Lots of well heeled people from Mexico City go for vacations there so it has lots of creature comforts. I would also bring some stylish sneakers for walking. Lots of cobble stones and skinny sidewalks a girls can twist her ankle on in clogs. My advice is find the good coffee shop and go from there. We did a house rental so were cooking a little. Also the main town square is we’re the action is at in the evening. Have a great time!! So jealous. Yes! Love San Miguel! Spent a month there about a decade ago. Can’t believe it’s been that long... Charming. Lots of well heeled people from Mexico City go for vacations there so it has lots of creature comforts. I would also bring some stylish sneakers for walking. Lots of cobble stones and skinny sidewalks a girls can twist her ankle on in clogs. My advice is find the good coffee shop and go from there. I seem to remember the good coffee shop sent us to the good little grocery store with the good eggs etc... Lots to do! We did a house rental so were cooking a little. Also the main town square is we’re the action is at in the evening. Have a great time!! So jealous. If you have time to do a day trip from San Miquel go to pozos.. Very cool ghost town, with a lovely, improbably contemporary arts/artisan scene. One more thing! If you have time to do a day trip from San Miquel go to pozos.. Very cool ghost town, with a lovely, improbably contemporary arts/artisan scene. I second Caroline’s advice about the clogs. I haven’t been to San Miguel, but I have done lots of traveling to places with cobblestone streets, including to Oaxaca (a place that I would HIGHLY recommend for your next trip to Mexico). Even if you could manage heels, the narrow bottom is a recipe for disaster on uneven streets. I know this from experience! Have a wonderful trip!!! I second Caroline's advice about the clogs. I haven't been to San Miguel, but I have done lots of traveling to places with cobblestone streets, including to Oaxaca (a place that I would HIGHLY recommend for your next trip to Mexico). Even if you could manage heels, the narrow bottom is a recipe for disaster on uneven streets. I know this from experience! Have a wonderful trip!!! Another vote for NO clogs. Stylish sneakers are the way to go. I’ve been thinking Nova Scotia, but Mexico sounds a lot warmer! will you take jewelry? or wear the same every day? i find jewelry hard to pack -i think because i choose based on mood…i always take too much or not what i want. will you take jewelry? or wear the same every day? i find jewelry hard to pack -i think because i choose based on mood...i always take too much or not what i want. I wear the same jewelry every day and never take it off. My grandparents retired to San Miguel, so I’ve visited, though not recently. It’s lovely and and artsy. I second the recommendation of sneakers for walking. My grandparents retired to San Miguel, so I've visited, though not recently. It's lovely and and artsy. I second the recommendation of sneakers for walking. Also–I have the Joy mini travel steamer and it’s great, although it comes in horrid colors (I have hot pink, slightly preferable to the turquoise). DOn’t know anything about the one you linked but in general travel steamers are the best idea! Also--I have the Joy mini travel steamer and it's great, although it comes in horrid colors (I have hot pink, slightly preferable to the turquoise). DOn't know anything about the one you linked but in general travel steamers are the best idea! I love seeing why and what other people pack for traveling. I usually travel to places I’ve never been before. I begin by considering season and weather but then have to search for inspiration. Some of your choices have given me ideas for an upcoming trip to Italy. Thank-you. I love seeing why and what other people pack for traveling. I usually travel to places I've never been before. I begin by considering season and weather but then have to search for inspiration. Some of your choices have given me ideas for an upcoming trip to Italy. Thank-you. I’m dittoing everyone who recommends sneakers. Also, the “cool in the evenings” might be a little cooler than you expect. Aaannnddd you might want to save a bit of room in your suitcase because the shopping there is supposed to be outstanding. Sounds like a great trip! Enjoy!!! For all of us!!! I'm dittoing everyone who recommends sneakers. Also, the "cool in the evenings" might be a little cooler than you expect. Aaannnddd you might want to save a bit of room in your suitcase because the shopping there is supposed to be outstanding. Sounds like a great trip! Enjoy!!! For all of us!!! Dude, you are going to have so much fun! And look awesome while you’re having it! Oh, maybe a travel candle? i bet you have one though. Have a great time!!! Oh, maybe a travel candle? i bet you have one though. You know me too well, Viajera. I sometimes bring along a Red Flower mini-candle in lavender. I wear my clogs on the plane! With socks, just because of the taking off of the shoes in security. But they are perfect traveling shoes. Also, there is a Chan Luu boutique in the renovated Century City shopping center. I’m scared to go in there for fear I’ll be unable to resist the scarves. I don’t spend enough time in a colder climate to justify the purchase. Vaya con dios! Spend several lovely Christmas holidays in Mexico with the fam and made many treasured memories. I wear my clogs on the plane! With socks, just because of the taking off of the shoes in security. But they are perfect traveling shoes. Also, there is a Chan Luu boutique in the renovated Century City shopping center. I’m scared to go in there for fear I’ll be unable to resist the scarves. I don’t spend enough time in a colder climate to justify the purchase. Vaya con dios! Spend several lovely Christmas holidays in Mexico with the fam and made many treasured memories. After I bought them I researched the brand, and it appears they are for old ladies with bunions. But as I am headed in that direction anyway, it seems about right. 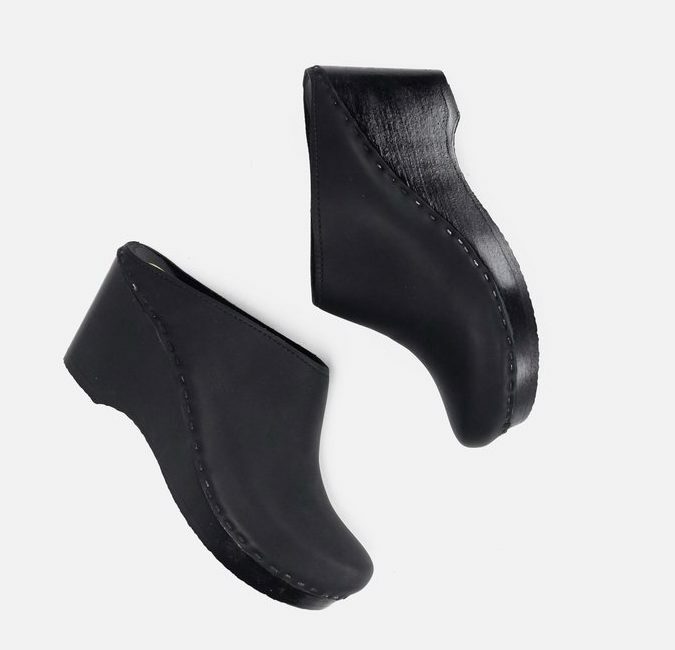 I bought these to wear as travel sneakers and love them... they are dorky but nondescript in black, and you can even machine wash them - plus they pack flat in your suitcase: https://www.zappos.com/p/arcopedico-ls-black/product/7583005/color/3?ef_id=Wgm-OQAABReNN8Y3:20171213152701:s After I bought them I researched the brand, and it appears they are for old ladies with bunions. But as I am headed in that direction anyway, it seems about right. I was in San Miguel 6(ish) weeks ago, for Dia de los Muertos. It is fabulous! It was far warmer than the temps indicated, so jeans were too heavy during the day. Even at night it didn’t feel colder than about 60. Impossible to walk on the heavily cobbled and hilly streets in anything with higher heels. Sunset on the roof of the Rosewood hotel is a must for the views. Recommend coffee and/or lunch at Lavanda Cafe (they offer 3-4 different brewing methods alone!). If you want a balloon ride, the prices are reasonable. A gorgeous, less touristy, city nearby is Guanajuato. I was in San Miguel 6(ish) weeks ago, for Dia de los Muertos. It is fabulous! It was far warmer than the temps indicated, so jeans were too heavy during the day. Even at night it didn't feel colder than about 60. Impossible to walk on the heavily cobbled and hilly streets in anything with higher heels. Sunset on the roof of the Rosewood hotel is a must for the views. Recommend coffee and/or lunch at Lavanda Cafe (they offer 3-4 different brewing methods alone!). If you want a balloon ride, the prices are reasonable. A gorgeous, less touristy, city nearby is Guanajuato. The most super-comfy sneakers my poor finicky feet can handle are Allbirds. Warm in the winter and cool in the summer ( I wore them for 10 days in Vietnam in June) and very lightweight, they are the best travel shoes ever. And you can throw them in the washing machine. I love my Allbirds. LOVE. I just did a long weekend in San Francisco, walking 9-12 miles a day, and they never let me down. I’ve not laundered mine yet, despite having never bothered with socks with them. So breathable and cozy warm at the same time. I love my Allbirds. LOVE. I just did a long weekend in San Francisco, walking 9-12 miles a day, and they never let me down. I've not laundered mine yet, despite having never bothered with socks with them. So breathable and cozy warm at the same time. Another vote for Allbirds. You can wear them without socks and they don’t smell or get sweaty! Amazing. I’ve washed mine many times and I still receive compliments even though they are two years old. I did spring for new insoles though. Another vote for Allbirds. You can wear them without socks and they don't smell or get sweaty! Amazing. I've washed mine many times and I still receive compliments even though they are two years old. I did spring for new insoles though. I am going there for Xmas also! If I see you I promise not to be creepy. If you see me, by all means say hello! I go to Mexico numerous times a year and you are packing way to warm! Clogs are not going to work on the beach or the town. There are potholes everywhere and most streets are pretty much rubble, bring rubber flip flops and sneakers. Also, you won’t need that big sweater, just bring a jean jacket with your scarf. It is very humid and you will probably be in a bikini and skirt or flowey dress the whole time. Have fun! I go to Mexico numerous times a year and you are packing way to warm! Clogs are not going to work on the beach or the town. There are potholes everywhere and most streets are pretty much rubble, bring rubber flip flops and sneakers. Also, you won't need that big sweater, just bring a jean jacket with your scarf. It is very humid and you will probably be in a bikini and skirt or flowey dress the whole time. Have fun! San Miguel de Allende is absolutely magical. And definitely sneakers or Birks or low-heeled boots for walking–cobblestones are no joke. Nights in Latin American mountain towns like San Miguel can get uber chilly, depending on the season, and really hot during the day. And I second Guanajuato as a side trip; it’s really pretty. I lived in Mexico in college and go back every few years. I love it there. San Miguel de Allende is absolutely magical. And definitely sneakers or Birks or low-heeled boots for walking--cobblestones are no joke. Nights in Latin American mountain towns like San Miguel can get uber chilly, depending on the season, and really hot during the day. And I second Guanajuato as a side trip; it's really pretty. I lived in Mexico in college and go back every few years. I love it there. My in-laws spent time there about 20 years ago. It is an artist colony and FIL is a painter. Enjoy. My in-laws spent time there about 20 years ago. It is an artist colony and FIL is a painter. I’ve never been to San Miguel de Allende, but I lived in Guadalajara when I was a teenager. The middle part of Mexico is a plateau; San Miguel de Allende has an altitude of 6000 feet. It is definitely not a beach town. Ciudad de Mexico has an even higher elevation and is colder than San Miguel. Upper class Latin Americans are quite sophisticated and are more European than American in style. I’d dress a little more formally and less beachy. I wouldn’t flash too much skin. You will be treated more respectfully if you do that. Although Mexico can be quaint and charming, be careful. Don’t turn off your New York City street smarts. Hope you have pre-arranged transportation from Mexico City to San Miguel de Allende. The food will be wonderful. Every restaurant in the US has Mexican staff. A lot of them have gone back and started restaurants in Mexico. I've never been to San Miguel de Allende, but I lived in Guadalajara when I was a teenager. The middle part of Mexico is a plateau; San Miguel de Allende has an altitude of 6000 feet. It is definitely not a beach town. Ciudad de Mexico has an even higher elevation and is colder than San Miguel. Upper class Latin Americans are quite sophisticated and are more European than American in style. I'd dress a little more formally and less beachy. I wouldn't flash too much skin. You will be treated more respectfully if you do that. Although Mexico can be quaint and charming, be careful. Don't turn off your New York City street smarts. Hope you have pre-arranged transportation from Mexico City to San Miguel de Allende. The food will be wonderful. Every restaurant in the US has Mexican staff. A lot of them have gone back and started restaurants in Mexico. Love San Miguel. I agree with others about the clogs. You just won’t wear then out and about. Also the striped top seems a bit to americano. Think more flowy. Enjoy. Second the Rosewood recommendation. The town is magical. You will love it. Love San Miguel. I agree with others about the clogs. You just won't wear then out and about. 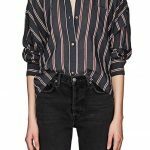 Also the striped top seems a bit to americano. Think more flowy. Enjoy. Second the Rosewood recommendation. The town is magical. You will love it. I have never been to San Miguel de Allende, but I lived in Guadalajara for two years as a teenager. The middle of Mexico is a plateau; San Miguel has an elevation of over 6,000 and Ciudad de Mexico is even higher. These definitely aren’t beach towns. Upper class Mexicans are very sophisticated and dress more European than American. I’d avoid showing too much skin or dressing too beachy. You will be treated more respectfully. Mexico can be very charming, but don’t leave your New York City street smarts at home. I hope you have pre-arranged transportation from the Mexico City Airport to San Miguel. The food will be wonderful. There are Mexican running the kitchens of every American restaurant. A lot of them have returned to start restaurants in Mexico. I have never been to San Miguel de Allende, but I lived in Guadalajara for two years as a teenager. The middle of Mexico is a plateau; San Miguel has an elevation of over 6,000 and Ciudad de Mexico is even higher. These definitely aren't beach towns. Upper class Mexicans are very sophisticated and dress more European than American. I'd avoid showing too much skin or dressing too beachy. You will be treated more respectfully. Mexico can be very charming, but don't leave your New York City street smarts at home. I hope you have pre-arranged transportation from the Mexico City Airport to San Miguel. The food will be wonderful. There are Mexican running the kitchens of every American restaurant. A lot of them have returned to start restaurants in Mexico. Have a great time and be safe! I wanted to share a recent find that’s been clutch for the beach and beyond. Espadrilles from Sea Star Beachwear, they are neoprene and have a non-skid rubber sole. They are meant for being in/near the water and dries completely fast but look like classic espadrilles (so they go beyond the beach or pool). 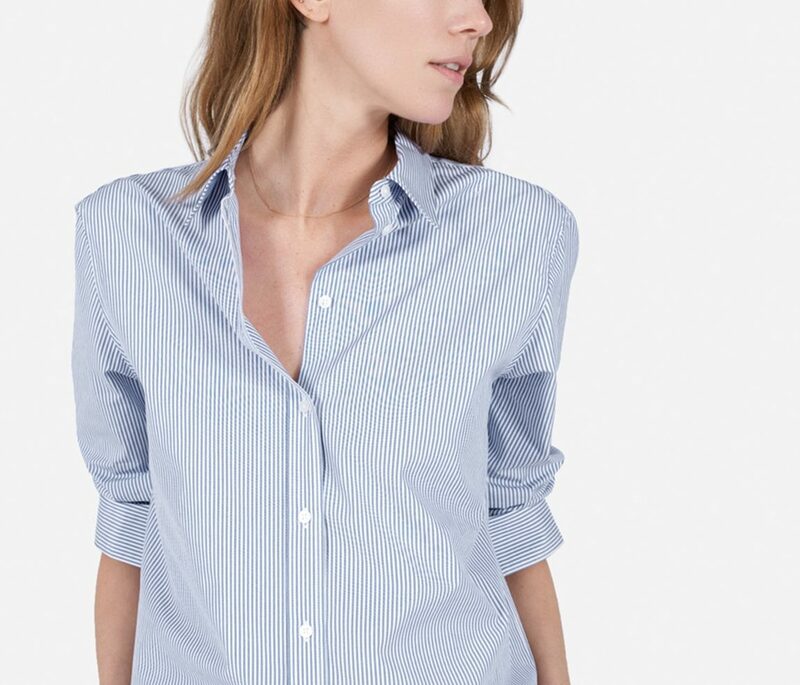 I got mine from J Crew but they have their own website if J Crew no longer carries them. Sounds like a great vacation, enjoy! I wanted to share a recent find that's been clutch for the beach and beyond. Espadrilles from Sea Star Beachwear, they are neoprene and have a non-skid rubber sole. They are meant for being in/near the water and dries completely fast but look like classic espadrilles (so they go beyond the beach or pool). I got mine from J Crew but they have their own website if J Crew no longer carries them. First went to San Miguel as a 12 yr old back in 1968. Went to college at the Instituto there 6 years later. I still think of it as home. The clogs are ok but you need good walking shoes. Leave the heels at home.The center of town has cobble stones and old uneven walkways. (The entire center of town is a national Mexican monument.) A lightweight jean jacket over a sweater is good at night. Have a blast. I hope you get to stay for New Years! I spent every NYE there from he time I was 12 to my mid 20s. Super jealous. First went to San Miguel as a 12 yr old back in 1968. Went to college at the Instituto there 6 years later. I still think of it as home. The clogs are ok but you need good walking shoes. Leave the heels at home.The center of town has cobble stones and old uneven walkways. (The entire center of town is a national Mexican monument.) A lightweight jean jacket over a sweater is good at night. Have a blast. I hope you get to stay for New Years! I spent every NYE there from he time I was 12 to my mid 20s. Super jealous. I second the comment about walking shoes to handle the cobbles – they are common and brutal to walk on in shoes with elevation! San Miguel is pretty cosmopolitan with all the American expats. Hope you get to visit some beautiful restored colonial homes. I second the comment about walking shoes to handle the cobbles - they are common and brutal to walk on in shoes with elevation! San Miguel is pretty cosmopolitan with all the American expats. Hope you get to visit some beautiful restored colonial homes. I left my heart in San Miguel. I went there for a work trip, so was lucky enough to spend time in several gorgeous haciendas. As you wander around (in non-clogs), don’t miss a chance to peek inside if someone happens to open a door. I left my heart in San Miguel. I went there for a work trip, so was lucky enough to spend time in several gorgeous haciendas. As you wander around (in non-clogs), don't miss a chance to peek inside if someone happens to open a door. Oh, and don’t miss the mercado! Oh, and don't miss the mercado! Echoing all the sentiments about comfortable shoes…I was there for 10 days last year for Dia de los Muertos…Lots of hills, lots of cobblestones. A magical place. Not sure you will need a caftan, but light sweaters, leather jacket, and converse. Boots are too slippery. Have so much fun! Echoing all the sentiments about comfortable shoes...I was there for 10 days last year for Dia de los Muertos...Lots of hills, lots of cobblestones. A magical place. Not sure you will need a caftan, but light sweaters, leather jacket, and converse. Boots are too slippery. Have so much fun! I only know of San Miguel because of this amazing man, who changed men’s figure skating forever. He was Toller Cranston. 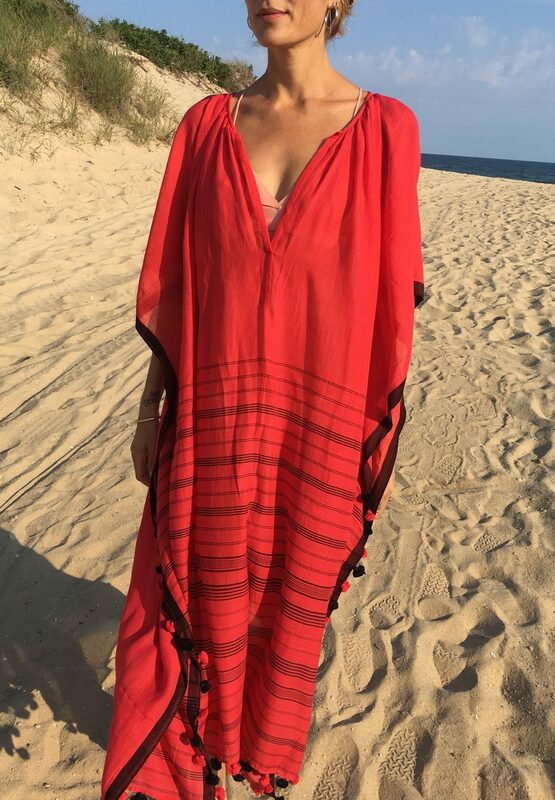 That red caftan is just stunning! San Miguel sounds wonderful. Enjoy your vacation in the warmth of the sun, Kim! Back to the skin care topic…don’t forget the sunscreen! Back to the skin care topic...don't forget the sunscreen! I don’t know if you’re “officially” supposed to, but I put my Maria Cornejo jersey dresses in the wash all the time, but hang them to dry. I don't know if you're "officially" supposed to, but I put my Maria Cornejo jersey dresses in the wash all the time, but hang them to dry. I’m also going to Mexico for the holidays (Puerto Vallarta) and plan to only do a carry on. Thanks for being just in time with your inspiration. Happy Holidays! Thank you for this wonderful site and your utter fabulousness. xo. I'm also going to Mexico for the holidays (Puerto Vallarta) and plan to only do a carry on. Thanks for being just in time with your inspiration. Happy Holidays! Thank you for this wonderful site and your utter fabulousness. xo. I have traveled all over Mexico and I agree no to clogs. You will sprain your ankle for sure. I second visiting Mexico City. It is amazing. BTW you can take the bus everywhere so day trips are possible from San Miguel. If you are posh and are interested only in luxury travel you may not want to take the bus, but you definitely be missing out interacting with Mexicans of all classes. It is shame to go to a place and not meet ordinary people going about their daily lives. We took lots of long-distance buses and they are much posher than many countries. ETN and Primera Plus have reclining seats, movies, snacks, and more and prices are very reasonable. If you get the chance, check out one of the natural hot springs/spas just outside of San Miguel. They are magical (and really affordable by US standards).